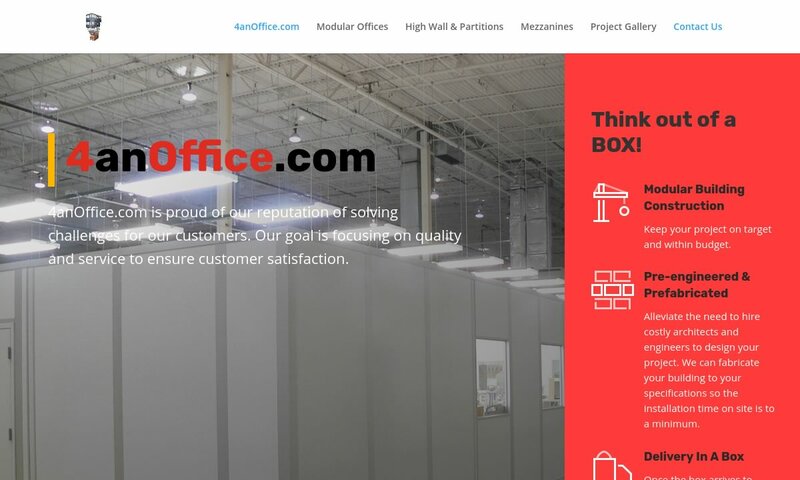 A reliable source for Mezzanine Manufacturers information and a resource for accessing leading Mezzanine Manufacturers and suppliers. Mezzanines are raised, often un-walled platforms that are used in a diversity of settings; they can store unused materials, provide working space for equipment and seat people in auditoriums, among many other uses. Industrial mezzanines, however, are used only for purposes related to industrial operations. 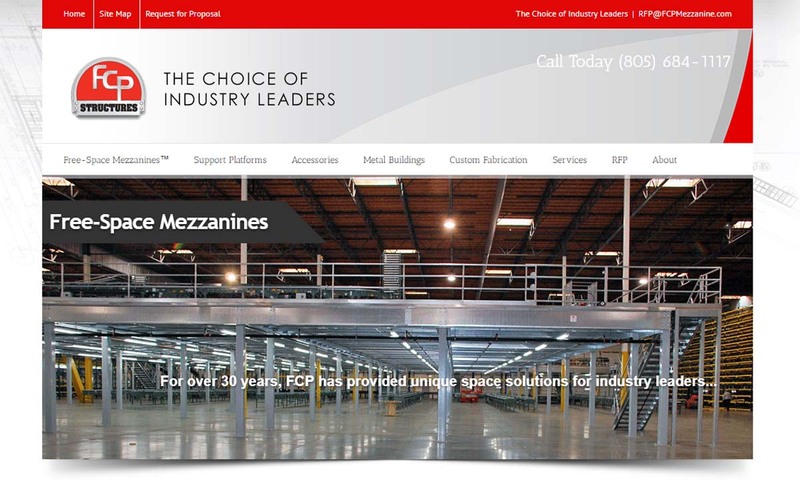 Manufacturers, suppliers, distributors and service companies all make use of mezzanines. Mezzanines serve a myriad of purposes, among them: the storage of unused material, walking space for facility workers and guests, auditorium seating, extra space, office floor space and office ceilings. A small, ground-floor office, for example, could be built beneath a mezzanine; the mezzanine floor can simultaneously provide the office ceiling and a platform for mezzanine storage. An in-plant office could also be built above a mezzanine platform, allowing the space below to be used for storage or for other uses. 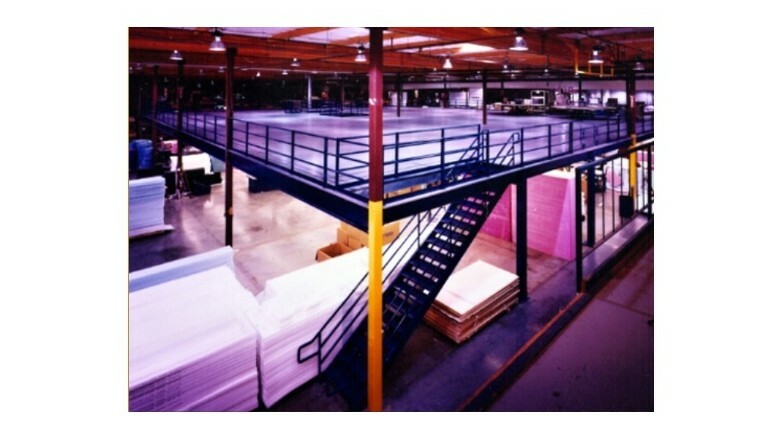 Regardless of their use or configuration, all mezzanine systems are designed to protect worker safety. Mezzanines Mezzanines are raised, often un-walled platforms that are used in a diversity of settings; they can store unused materials, provide working space for equipment and seat people in auditoriums, among many other uses. The word “mezzanine” is borrowed from the French, which in turn derived from the Italian mezzanino, a diminutive of mezzano, or “middle.” Prior to the Industrial Revolution, mezzanines were primarily used in the theater. In the mid-1800s, the first department stores opened, and with them came another use for mezzanines—store levels. When the Industrial Revolution arrived shortly thereafter, manufacturers began using mezzanines in their facilities to help in storage and create new usable space. Since then, mezzanines have functioned much the same, though they now serve more applications than before, and have different features, like conveyors and lifts. Modern mezzanines are largely stationary equipment. Sometimes, though, they feature lift or conveyor systems, so that they may also lift or move people or items. They will perform such tasks per the instructions of automated or semi-automated technology. Because of the great variety of applications in which mezzanines are used, mezzanine construction companies offer mezzanine systems in a variety of configurations. Below, check out a few examples of the many kinds of mezzanines. Some mezzanine applications call for little more than a small, simple platform where supplies or products can be stored. In these cases, many operations make use of prefabricated mezzanines, which are designed and partially assembled by manufacturers even before they have been ordered by customers. Structural mezzanines are platforms that are suspended by a combination of a building’s own load-bearing elements and by some columns and supports. They can be used to provide work surfaces for machinery. They may also be used as storage mezzanines for heavy materials. Structural mezzanines are usually built into a building at the time of its construction; their uses are usually predetermined, and their design reflects their intended application. Freestanding mezzanines, or work platforms, which are typically prefabricated, stand on their own without the support of a wall. Because they don’t have this type of support, they’re usually used to perform less demanding tasks, such as the temporary storage of lighter-weight materials. A great advantage to both of these and structural mezzanines is the fact that neither impede the operation of workers or machinery on lower levels. Their supports can be placed in a way that minimizes interference with the movement of personnel and equipment. Perimeter mezzanines are used in factories, warehouses and in other large buildings for observation of floor operations and for easy transportation from one end of a busy or full building to another. Because they offer this easy transportation and access, they’re also great for the very short-term storage of products. In addition, perimeter mezzanines can be used to accommodate visitors or guests during tours. To assist in the transportation of products and people, perimeter mezzanines can be equipped with lift and conveyor systems. Mezzanines are made up of base plates, columns and braces and other hardware. Base plates are the key to mezzanine stability. They keep lateral and deflection movement within a certain degree, so that the structure is not compromised. Standard mezzanines have base plates that are 12 inches by 4 inches. Base plates are held in place by anchor bolts. Columns hold up mezzanine levels. They provide support to vertical space, horizontal space and twisting loads alike. Braces and other hardware complement the other components by adding structural strength and decreasing lateral movement. Your manufacturer may also bolt the structure together with nuts and bolts. 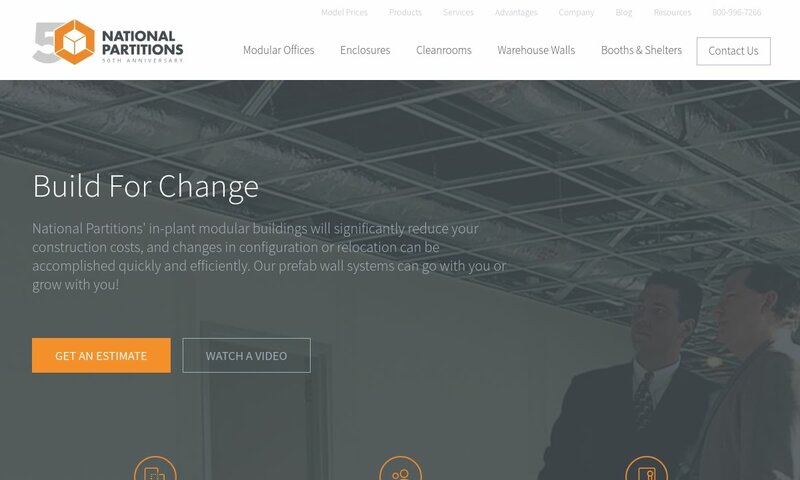 Mezzanines present their users with countless benefits. First, mezzanines are incredibly versatile; you can use them for a wide variety of applications, from storage space to pallet rack storage. Likewise, manufacturers can design a mezzanine system to fit into virtually any environment. Because mezzanine design options are so versatile, they also come in a wide range of prices. In addition, adding a mezzanine structure to your facility effectively doubles the work and storage capacity you have available (triple-decker and larger models create even more space). Because many mezzanine systems are highly modular, if necessary they can be disassembled, expanded, reduced or relocated. Last but not least, mezzanines offer you a way to radically change your workspace without investing too much into construction and without taking too much time away from your application. Mezzanine structures can be installed in your space within a matter of days, rather than weeks or months. Manufacturers typically build mezzanines from structural steel, stainless steel, cold rolled steel or hot rolled steel. They may also use fiberglass or aluminum. For non-industrial purposes, they may even use wood or composite lumber. Also, manufacturers may make recycled composite lumber panels for LEED certified warehouses seeking to decrease their dependence on structural steel and non-recycled materials. When choosing a material, they look for one that can be either free-standing, which means that they can stand independent of support from another structure, or structural, which means that they can be integral parts of the buildings in which they are constructed. Manufacturers only choose a lightweight material like aluminum when the mezzanine will not be subject to heavy loads. Fiberglass works well as decking in a corrosive environment. During design, in addition to materials, manufacturers map out the mezzanine floor design and consider what other features are necessary. Examples of such features include: shelving, pallet racks, decks, floor perforations, stairs, railing, conveyors lifts, etc. Manufacturers also always make mezzanines with safety in mind. To that end, most mezzanine access stairs are treaded and marked with brightly-colored or reflective tape to reduce slipping or stumbling risks, and perimeter railings to help prevent falls. In cases where a mezzanine will serve a more specialized purpose, manufacturers will create a custom mezzanine that matches your precise specifications. This includes anything, from a specific floor perforation size or shape, to an unusual perimeter. By and large, mezzanines are beholding to the International Code. This code states that a mezzanine may have as much as one-third of the floor space of floor below. It also states that a space may have more than one mezzanine, as long as all of the mezzanines add up to one-third or less of the total floor space. (Local building codes may vary.) 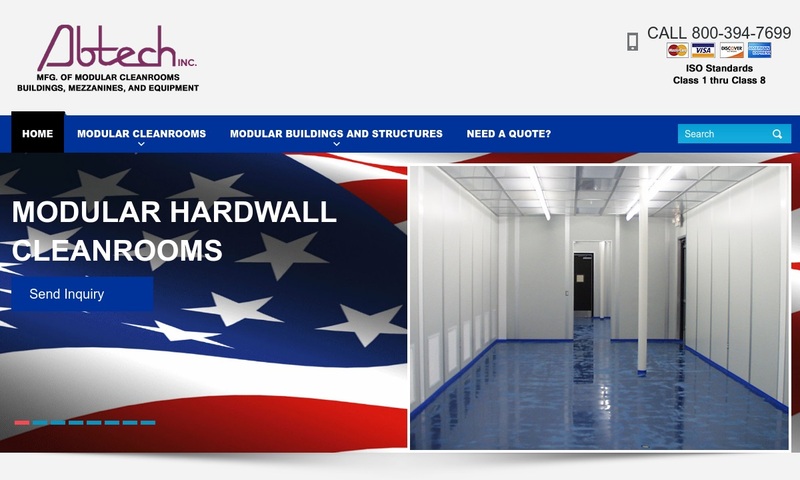 In addition, here in the USA, all industrial mezzanines must meet OSHA’s mezzanine safety requirements. If you want an accessible mezzanine, it must meet ADA standards. Installing a mezzanine is a great way to save both space and money. However, if you go with the wrong manufacturer, you may end up with a big headache and a big hole in your budget. We don’t want that. 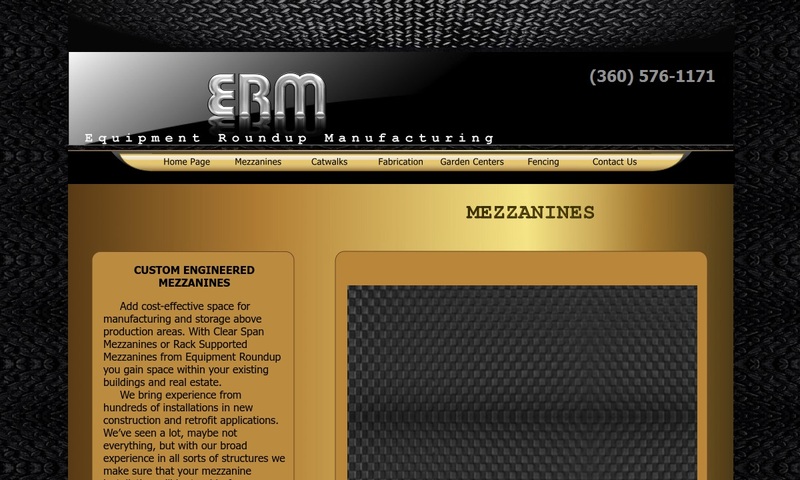 That’s why we’ve put together a list of experienced and reliable mezzanine manufacturers for you. We’ve interspersed the profiles of these leading companies throughout the page; you’ve probably already noticed them. When you’re ready to get begin looking, we recommend you take some time and read through them. You can visit their websites as well, if you’d like. As you browse, look for matches in application, specifications, price range, etc. Choose three or four with whom you’d like to speak personally, then reach out to them for a quote or a conversation. After communicating with all of the companies in whom you’re interested, compare and contrast their answers.  Determine which manufacturer can offer you the customizations, standards, price range, delivery services and overall customer services that you desire. Good luck!